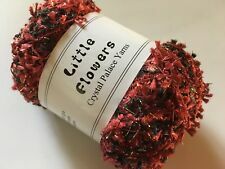 Crystal Palace Little Flowers is a versatile fashion yarn to work by itself or carried along with other yarns to add a little sparkle. 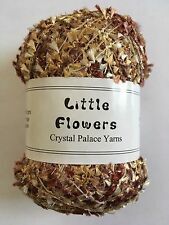 It can be knitted, crocheted or woven. in a variety of projects. 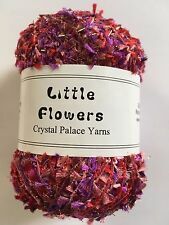 The aqua purple color # 9757. the pretty pink shades # is 9552 color Confetti. 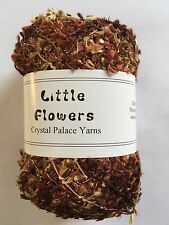 each byCrystal Palace Yarns. 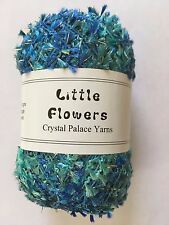 Little Flowers Yarn.